Can It Have Been Right? THIS BOOK, by the priest and cold war historian Wilson D. Miscamble, is a volume in the Cambridge Essential Histories series, which is (according to its statement of purpose) “devoted to introducing critical events, periods or individuals in history … through thesis-driven, concise volumes.” Concise The Most Controversial Decision certainly is: it packs into its 150 pages discussions that other scholars have spent careers grappling with. And it is undeniably thesis-driven. Miscamble has written a full-throated defense of Harry Truman’s decision to drop nuclear weapons on Hiroshima and Nagasaki. There really was no viable alternative, he says. In a moment of exasperation with the president’s later-day critics, he exclaims, “Must we still ask was it right? Must we still wrestle with the morality of the atomic bomb?” Well, yes, we must. Miscamble is at his strongest, and most persuasive, in providing the context for Truman’s decision by helping us to understand what the world looked like to the president and his advisers. The truth is that there really was little choice involved. No one high up in policy-making circles ever argued against dropping the bombs. It was wartime; new weapons had been developed; they would be used. As Winston Churchill told Niels Bohr, “this new bomb is just going to be bigger than our present bombs and involves no difference in the principles of war.” The controversy came later, after the full impact of nuclear weapons began to be understood. But as Miscamble insists, much of this subsequent criticism is misguided, because it requires the advantage of hindsight—along with a large amount of forgetting. Projected estimates of American casualties varied widely, depending on how long the campaign was expected to take, but they were never anything other than grim. Douglas MacArthur’s expectation of over 100,000 casualties in the first ninety days so alarmed George C. Marshall, the Army Chief of Staff, that he understated the figures when he spoke to Truman, lest the president lose heart. The reason for these dire predictions was that the Japanese were ready to fight to the last man. It was the only strategy left to them, and from their point of view it made sense. The war was lost: if they were going to salvage anything that they valued and had shed blood for, it would be by making the invasion so costly that the Americans would agree to something less than the declared aim of unconditional surrender. Knowing what we know now, it is discomfiting to believe that all the options were not fully explored before the bombs were used, but it is also important to remember that in 1945 decisions were being made under intense pressure, amid vast uncertainties, encumbered by the fog of war. And all the while the corpses were piling up—not just American and Japanese, but those of people throughout Asia. Gideon Rose has observed that during every month of 1945 in which the war went on, Japanese forces were causing the deaths of between 100,000 and 250,000 noncombatants. But the fog of that war long ago lifted, and we may answer with certainty questions that the policymakers of World War II could only guess at. It turns out they guessed right. Demonstrations and warnings would not have worked; the Japanese would not have surrendered. How can we be so certain? Simple, actually: because once the first atomic bomb was used and Hiroshima was destroyed, the Japanese military wanted to continue fighting. The incineration of Hiroshima made them re-think nothing. Disagreements were voiced in Tokyo after the obliteration of Nagasaki, but it took the intervention of the emperor himself to bring an end to the war, and even then, some officers attempted a coup to avoid a surrender, putting them in the paradoxical position of seeking to uphold the cause of the emperor after the emperor had given up the cause. (Other officers committed suicide.) The military was prepared, in Miscamble’s words, to wage “a kind of national kamikaze campaign,” and they would have succeeded—with all the unprecedented devastation and untold losses of life on both sides that would have resulted—if the emperor had decided the other way. 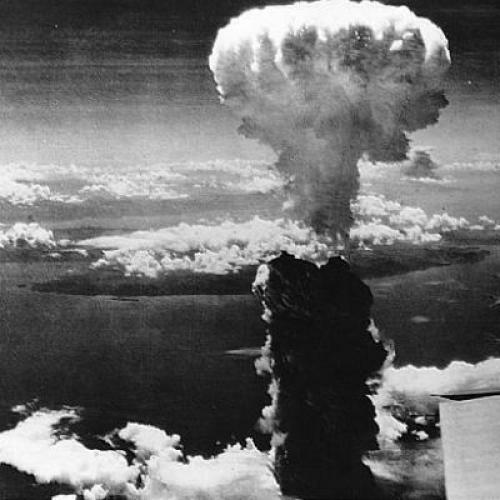 In effect, the historical impact of the two atomic bombs was to change the mind of just one person. In a chapter near the end of his book entitled “Necessary, But Was It Right?,” Miscamble shifts his attention from history to the moral issues raised by the bombings. These turn on the question of whether the deliberate killing of non-combatants, including women, children, and the elderly can ever be condoned. In fact, civilians had been directly targeted almost from the start of hostilities, in the air wars conducted by the British and Germans, and then by the Americans. The atomic bombings were merely the dramatic culmination of a prolonged slaughter of the innocents that reached back to London, Rotterdam, Hamburg, and Dresden—and they were not even the deadliest. About eighty thousand people died at Hiroshima, but the firebombing of Tokyo the previous March had taken 100,000 lives. If any of these raids had been conducted for reasons of retaliation or revenge, then they rightly deserve our condemnation. But the Americans believed—or hoped—that the bombing was weakening the enemy, destroying its will to fight, and hastening the end of the war. Is that sufficient justification? As for myself, I’m not sure. Does the life of an American soldier count for more than the life of a Japanese civilian because we are Americans? Or perhaps for less because it is a soldier’s job to fight and possibly die? Does it make a difference if the soldier is drafted and forced to fight? Maybe there are no absolute answers. Maybe it all depends on the numbers involved—the trolley-car problem writ hideously large. But of one thing I am certain: faced with the circumstances and the conditions that Truman faced, no American leader—no leader of any nation—would have decided any differently than he did.